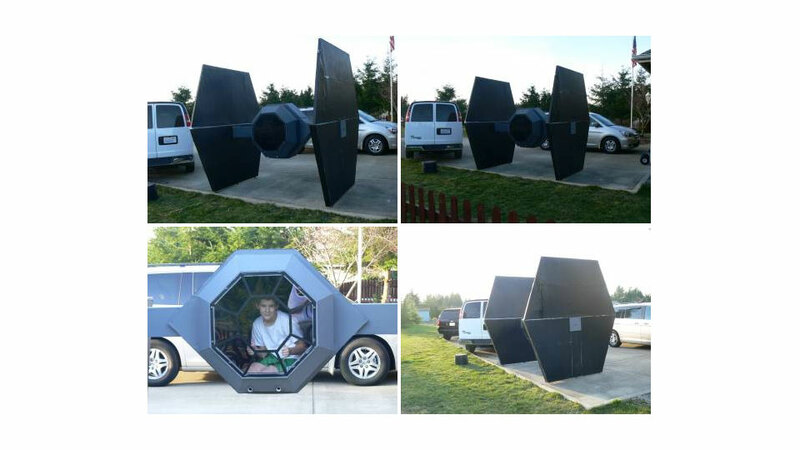 There's a beautiful crackpot in Seattle who is selling a Star Wars Tie Fighter on Craigslist. Not a little toy, or a model that sits on your desk. He's selling 8 foot x 8 foot replica. Which you can sit in. No idea what it was built for, but it's on wheels, will hold a 300-pound pilot and has blasters that actually fire (though they fire party poppers, not hot green laser death). All this can be yours for $US150. Good hunting. How is this thing only $150? Must be stained with sweat, Pepsi and unfulfilled dreams. Or it's just a whole lotta chipboard. What do you think the postage and handling on this badboy would be to Aus? Duh, it can just fly down here. Slightly scarey this thing exists. Cant wait to see it on pawn stars and them offering $10 for it.